Every time my husband and I go out to eat, we look forward to indulging in a delicious appetizer. 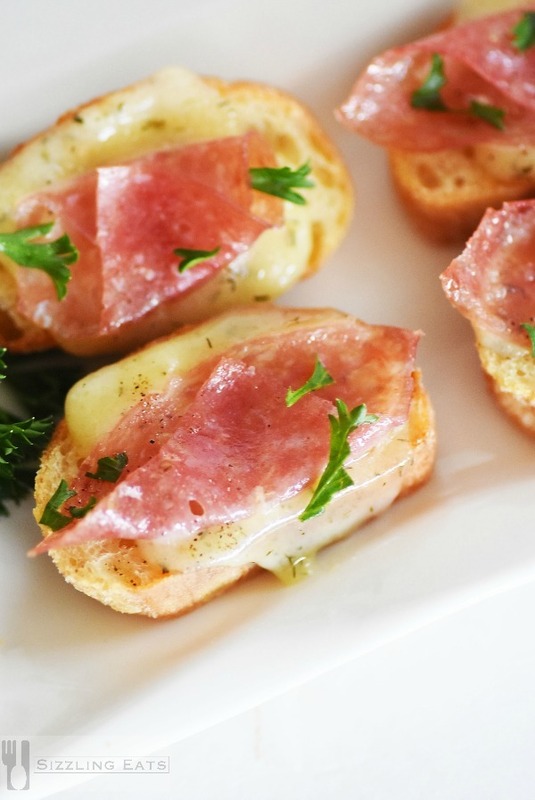 We usually tend to stick with crunchy and cheesy choices like nachos, fried mozzarella, or crostini. 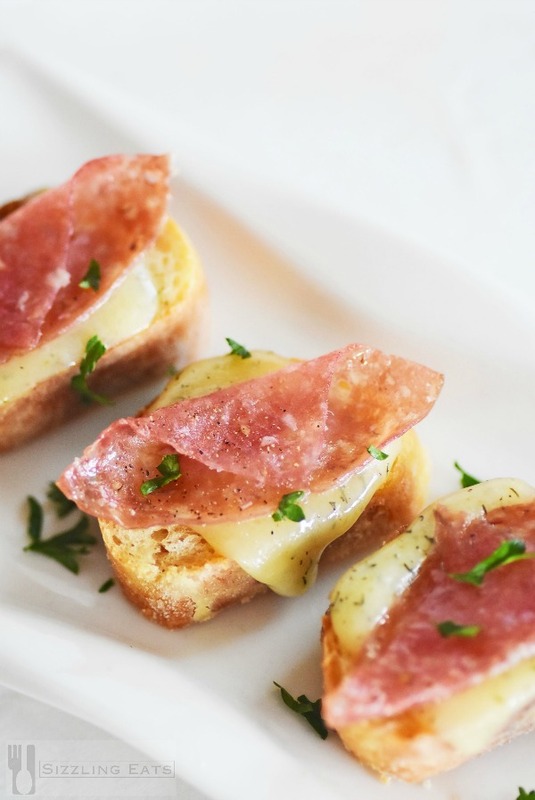 I really love crostini because it is such a versatile appetizer that combines the crunch I desire with so much versatility. 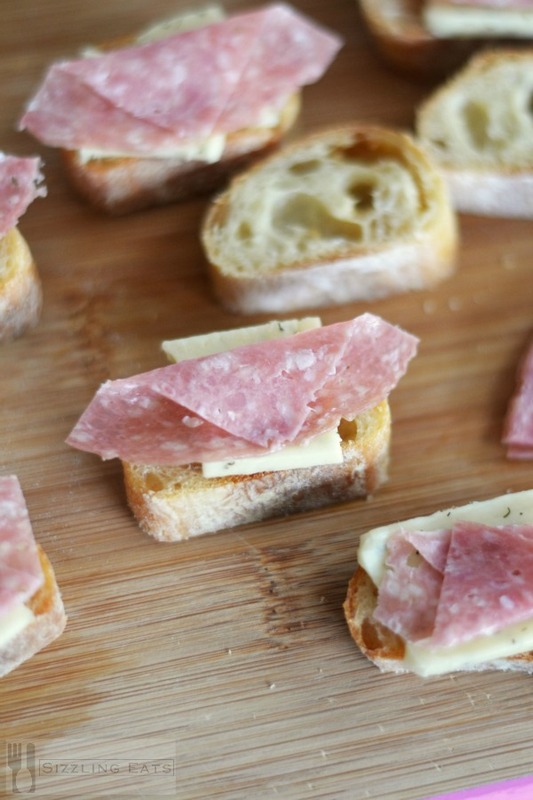 I thought a Warm and Crunchy Salami and Harvarti Crostini would be a great appetizer to share with you all to celebrate the new movie Burnt. I am actually very excited to see the new movie Burnt in theaters because I adore food related movies, and shows. Plus, this movie is particularly inspiring because it stars one of my favorite actors, Bradley Cooper and is about redemption in the top-notch restaurant world. 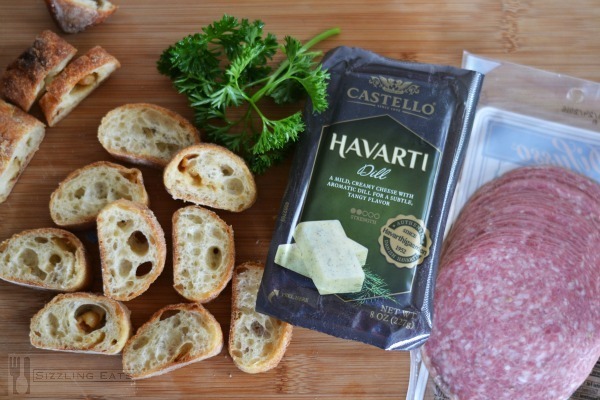 To celebrate a relaxing night out and get in the spirit, I wanted to share my recipe for these Warm and Crunchy Salami and Harvarti Crostini featuring Castello Dill Harvarti, premium Salami, fresh herbs, and garlic-infused ciabatta bread. 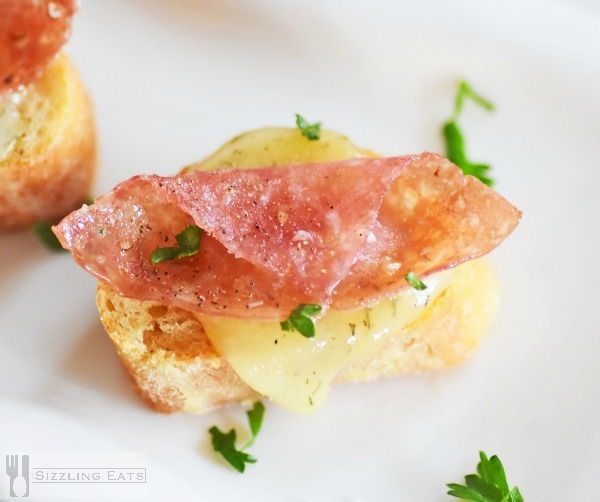 It is a very simple appetizer or snack that is super delicious and easy on the palette. 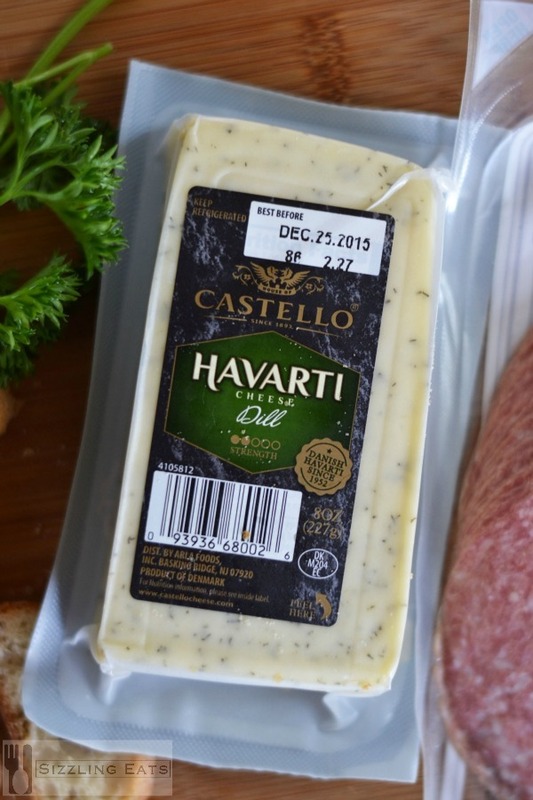 We chose a Castello Harvarti that was a 2/5 for sharpness flavor. 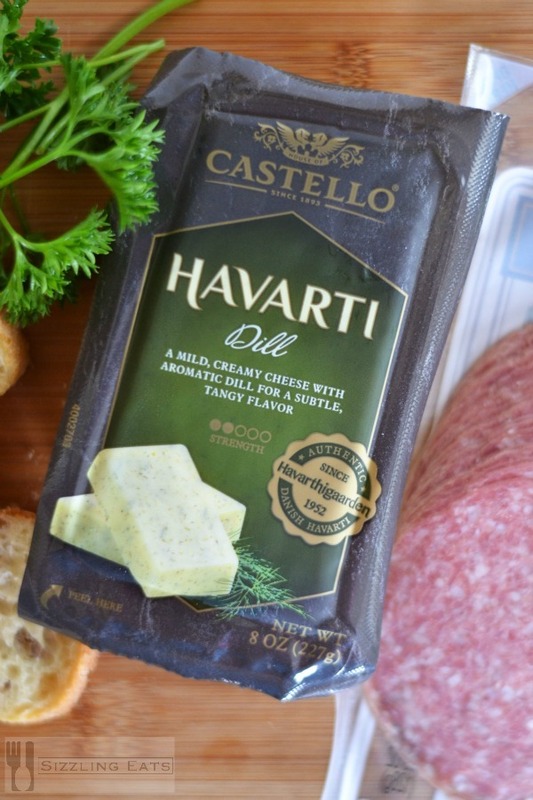 I like more milder harvarti so I thought this would be a safer choice for myself and the kids. 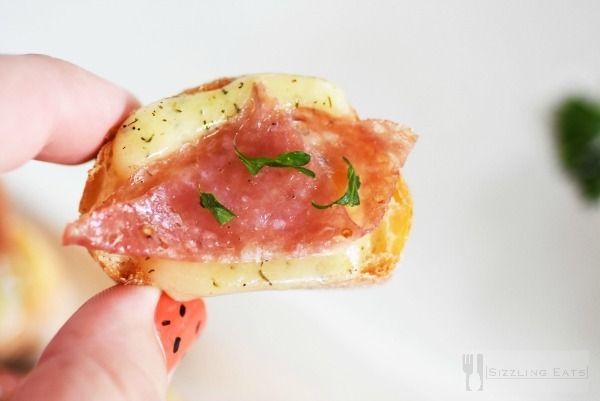 These little crostini were so delicious and are so quick and easy for the holidays! I will certainly be making them again soon!